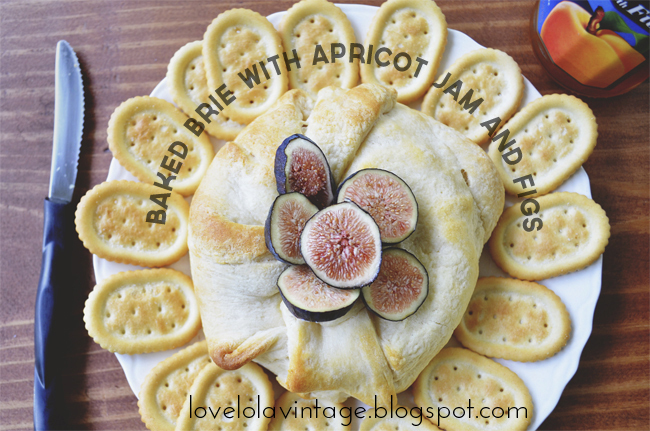 Day 7: Baked Brie with Apricot Jam and Figs! – Roll out the crescent roll dough into one large, square piece. Ensure that it stays together and does not break into its individual pieces. – Spoon the apricot preserves over the brie, using enough preserves to completely cover the top and sides of the cheese. – Fold the dough over the cheese and jam, cutting off any excess dough, and pinching it together on the top and sides so that the cheese doesn’t peek through any holes. 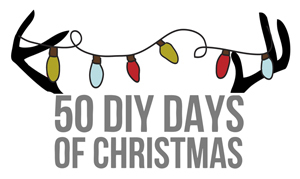 – Place the brie concoction on a prepared cookie sheet (sprayed with cooking spray) and follow the Pillsbury dough directions for cooking the crescent roll (this is usually 350 F for 15-20 minutes). – When the dough is brown and flaky, remove from the oven. 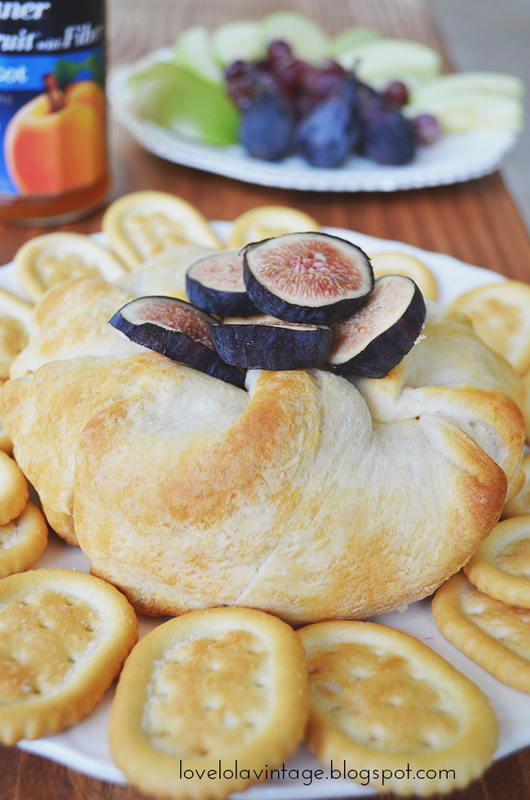 – Top with the chopped figs, and transfer your masterpiece to a decorative plate, along with crackers and fruit of your choice. 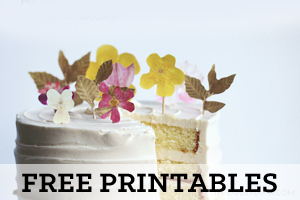 – Serve immediately…otherwise you might be tempted to eat the whole thing by yourself. It’s that good. This appetizer is sure to impress your Thanksgiving guests. 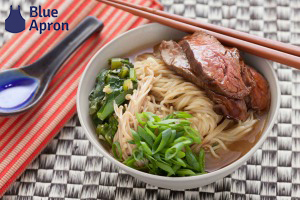 It looks and tastes super fancy, yet its so easy to prepare. But don’t worry, I won’t tell anyone. Hee. 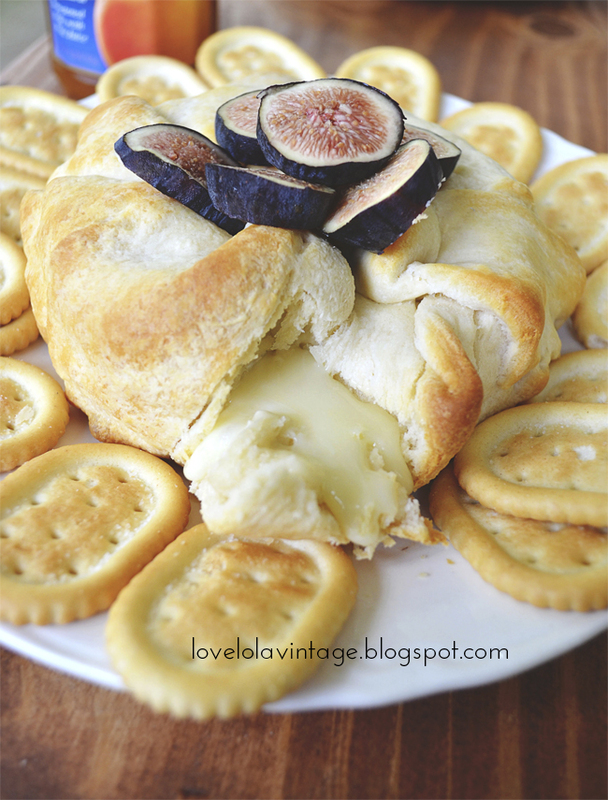 Don’t forget to check out Love Lola and thank her for this lovely brie appetizer idea! Yum! I haven't made baked Brie in so long..this makes me want to! !